J.B. Hunt is making a $2.75-million investment in the University of Arkansas to create the J.B. Hunt Innovation Center of Excellence. When industry and academia team up, benefits abound. Consider a new collaborative effort between J.B. Hunt Transport Services, Inc., a transportation services company based in Lowell, Ark., and the University of Arkansas to advance supply chain management efficiency through technology. 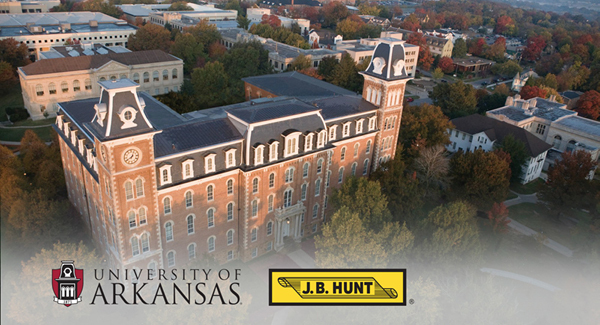 J.B. Hunt is investing $2.75 million in the University of Arkansas to create the J.B. Hunt Innovation Center of Excellence, a joint effort between the company, the College of Engineering and the Sam M. Walton College of Business. The center will enable engineering, computer science, and business researchers and students to work with J.B. Hunt employees in finding solutions to real-world problems through innovative design and technology-driven supply chain solutions.